The hippos are enjoying the spring weather. 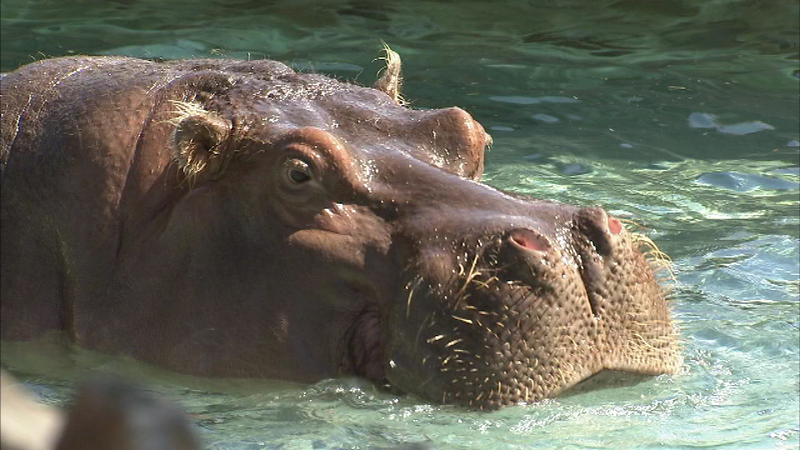 PHILADELPHIA (WPVI) -- It's a sure sign of spring when the hippos come out to play. The Philadelphia Zoo's female hippos, Cindy and Unna, basked in the spring sunshine Thursday morning. Visitors gathered to watch the two take a dip in their outdoor pool for the first time this season.